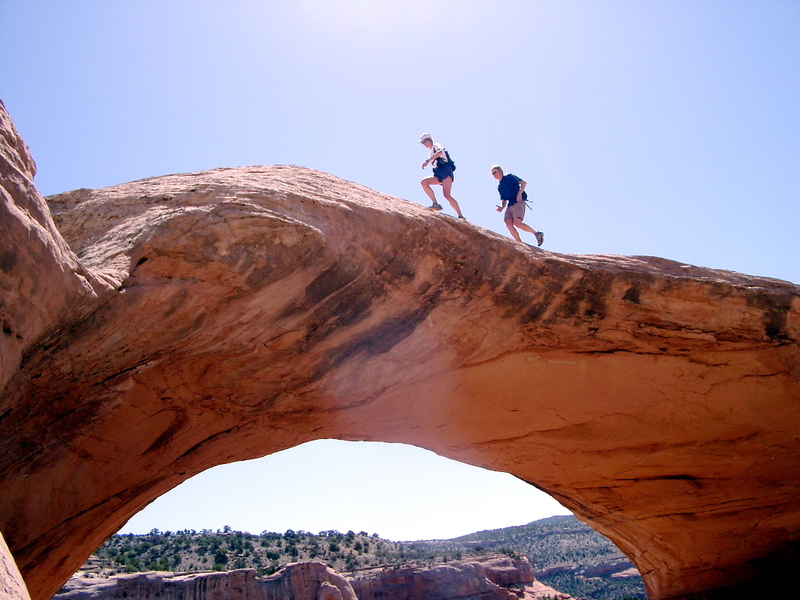 Rattlesnake Arches are the best kept secret in Utah. That’s because they’re in Colorado. The largest concentration of rock arches in the world outside of the eponymously named National Park, is in the Black Ridge area just west of Colorado National Monument. A series of beautiful red rock canyons drains the north side of Uncompahgre Plateau for a distance of 80 miles; the Monument is well regarded, while the canyons to the east and west are almost unknown yet just as spectacular. This is the eastern edge of the Colorado Plateau, so it is geologically the same as the iconic landscape of Utah, which makes it quite satisfying to drive only 4 hours from Denver/Boulder, then stand alone in the middle of a large federal Wilderness area, almost in sight of the steady stream of SUV’s blasting down Interstate 70 on their way to standing in at Pasta Jay’s in Moab. OK, enough shuck and jive; what’s the deal?